The No. 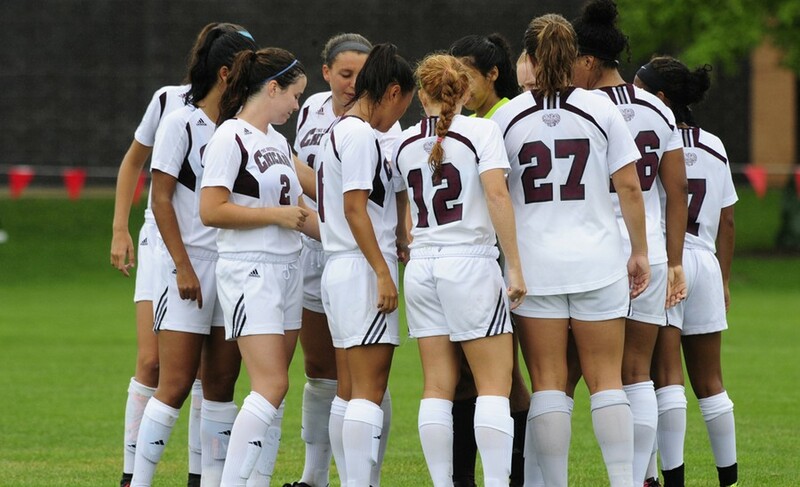 4 Maroons suffered their first loss of the season this past weekend, going 2–0 at the hands of Emory University. The team traveled to Atlanta on Saturday to play its first conference match of the season against the Eagles. The loss brought the South Siders to 9–1 overall and 0–1 in UAA play. In the 21st minute of the first half, Emory scored its first goal, giving first-year goalkeeper Katie Donovan her first allowed goal of the season. In the last minutes of the game, Emory scored again, bringing the lead to 2–0, where it would stay until the whistle blew to close the game. For the first time this season, the Maroons were outshot by a mark of 18–9. Emory also led in shots on goal, 8–2. While Chicago led in corner kicks 7–3, they were unable to capitalize on opportunities to net a goal. First-year midfielder Hannah Watkins led the team in shots with three, while Donovan made six saves in the 90-minute match. This was also the first time the Maroons have been completely shut out. The squad had only played one other match in which they scored less than two goals, and that was nearly a month ago against Kalamazoo. The Eagle’s goalkeeper also had to make fewer saves; Donovan allowed two goals but had six saves, while the Maroons only managed to produce two shots. Third-year Kelsey Moore believes this first loss of the season will motivate the Maroons for the rest of the year, and especially through conference play, which dictates the last half of the season. “We didn't come out sharp enough. They seemed to be one step quicker than us in getting to the ball and we just weren't able to keep the ball like we have been all season. Losing never feels good, but coming out of this weekend has just given us another edge that we will use to motivate us for the rest of our season,” Moore said. Even with the loss tarnishing the squad’s flawless record, Moore believes this may have been beneficial for the Maroons, and will definitely serve as a learning experience.